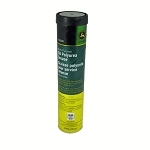 An exclusive formulation, specifically designed to protect John Deere transmissions, final drives, and hydraulic systems. 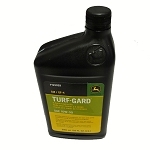 Hy-Gard transmission and hydraulic oil is a unique oil developed by John Deere engineers to meet the exact needs of John Deere machines. 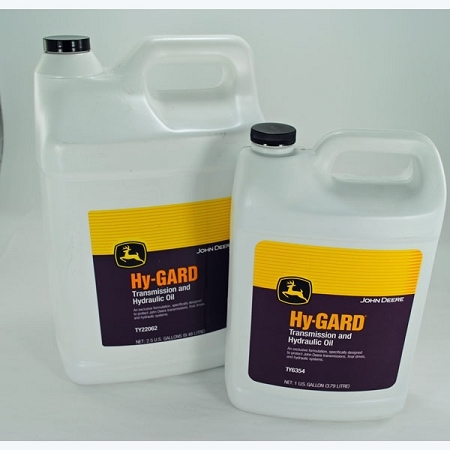 Hy-Gard fluid is a multi-viscosity fluid with a high-viscosity index. 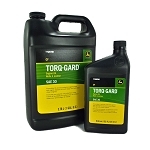 Hy-Gard viscosity places it between ISO 46 and 68 grades. Hy-Gard may be used in many applications specifying either of these grades. A polymeric viscosity improver helps Hy-Gard retain its proper viscosity over a wide range of operating temperatures. For Hy-Gard to work efficiently, it must flow readily through any part of the system. Oil that is too light can cause increased wear; too heavy will cause sluggish operation and lower mechanical efficiency. Price including shipping was best anywhere by a large margin. Shipping was fast. Will buy from this supplier again. We have 2 JD 6x4 Gators on our ranch and they brakes began to growl when applied especially as they were coming to a stop. Of course the manuals recommend Hy-Gard, but on servicing the transmissions were serviced with TSC Traveler tractor hyd. oil. On a forum, several said Hy-Gard stopped the growling and in our case it did. I went a step further and added 2% JD Friction Modifier now the Gators stop as if they were new. Buying the TSC Traveler was wasted money in my opinion even though the label states it can be used as a substitute for JD20C...nope, not in the case of Gators anyway.